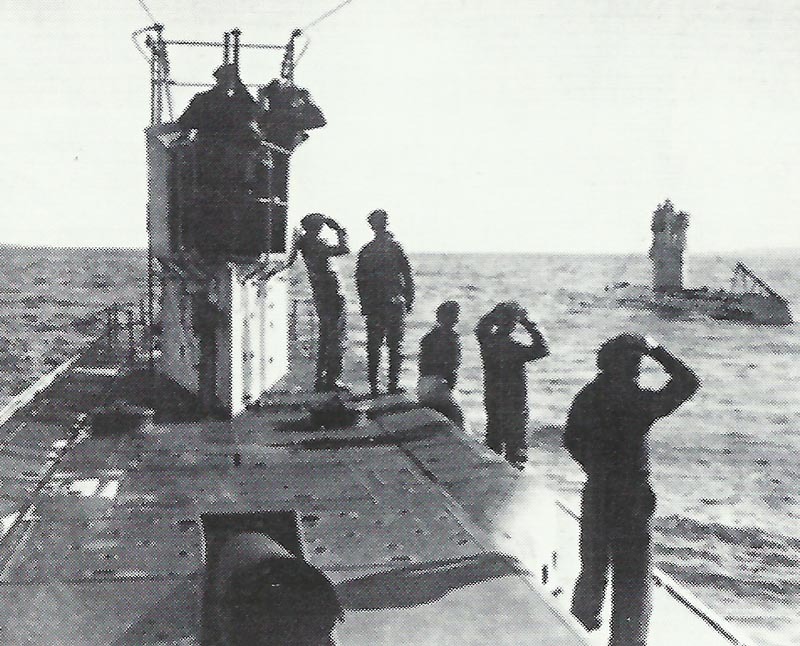 U35 (nearer) makes a rendezvous with another German submarine. Eastern Mediterranean: U35 (Arnauld) sinks French auxiliary cruiser Gallia (14,900t) off Cape Matapan, carrying 2,000 French and Serb troops. Panic ensues, 600 dead. Coastal submarine UB47 (Steinbauer) sinks empty British (ex-Cunard) troopship Franconia (18,150t) 195 miles southeast of Malta, 12 lives lost. Battle of the Somme: Heavy rain and increasingly poor ground postpones Rawlinson’s planned offensive operations for 48 hours.